2004 Domaine Michel Brégeon Muscadet Reserve ($25): It's common for producers of Muscadet to age wines along with their lees (the yeast cells that are leftover after fermentation). What's not common is to keep the wine and lees together for 89 months in underground glass-lined tanks before bottling, as winemaker André-Michel Brégeon has done. 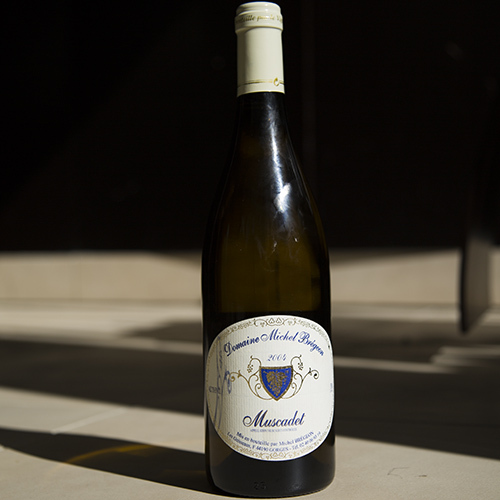 The result is much more complex than a typical light, bright Muscadet. After giving it a sniff, F&W tasters said they might have mistaken it for a Sancerre, a white Burgundy or an aged Riesling. The (Wonderful) Effects of Age: When it's young, minerally Muscadet is the classic pairing for raw shellfish because it recalls a briny spritz of lemon. This one is more like a bite of lemon curd: It's deliciously creamy and lush, with mellowed citrus along with ripe apple flavors. Aging on lees tends to keep wines tasting fresh while adding body, and that's just what happened here. Drink it With: Grilled oysters, such as ones topped with chorizo or spicy tarragon butter. Muscadet is a good match for spicy foods because of its moderate alcohol (higher levels tend to clash with heat).